The Carers’ Strategy Action Plan is being refreshed for 2019-2023. 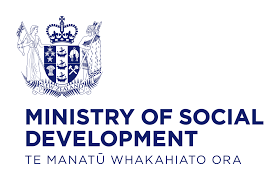 The Action Plan will identify what the government is committed to achieving in the next five years to support those people providing care for friends or family/whānau members with their everyday living because of a health condition, injury, frailty, or disability. The role that families and whānau provide in New Zealand is important, and the government is committed to recognising and supporting this contribution. We are keen to hear from anyone who provides care for a friend or member of their family/whānau. Hearing about your experience, and how caring impacts your life and wellbeing, and what you think would make a difference will help inform the actions government can take to help. We will be talking to different groups of people around the country to learn about their experiences. We are also carrying out an online survey. The survey will be live until the 31 October 2018. The webpage also contains additional information about the Strategy and the initial engagement process. Do you support a friend or family member who needs help with everyday living because of a health condition, injury, or disability? If so, we want to hear about your experience, what works, what doesn’t, and what would help. You may not see yourself as a ‘carer’ as it may just be part of what you, or your family/whānau do. Carer is just the term we use to describe the diversity of individuals, families and whānau who provide support. Why do we want to hear from you, your family/whānau? We are going to develop a new Carers’ Strategy Action Plan to support people who are supporting a friend or family member with their everyday living. The current Action Plan expires at the end of this year. Hearing about your experience will make sure that people developing the new Action Plan are aware of how the caring role affects you and what would make your life better. The role that families and whānau provide in New Zealand is crucial, and the government needs to recognise and support this contribution. We will be talking to different groups of people to learn about their experiences. The will enable you and/or your family and whānau to tell us about your care experience and how this impacts on your life and wellbeing, and what you think would make a difference. This information will be used to help inform and design actions government can take to help. · of Pacific Island ethnicity.